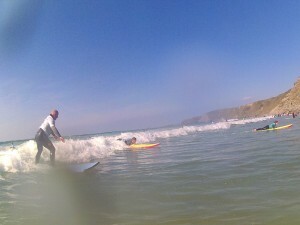 Eight soldiers from 7 Regiment RLC deployed on the Army Surfing beginners’ week in Newquay. This week was open to individuals with limited â€œor noâ€ surf experience, but with a keen interest to master this exciting sport. 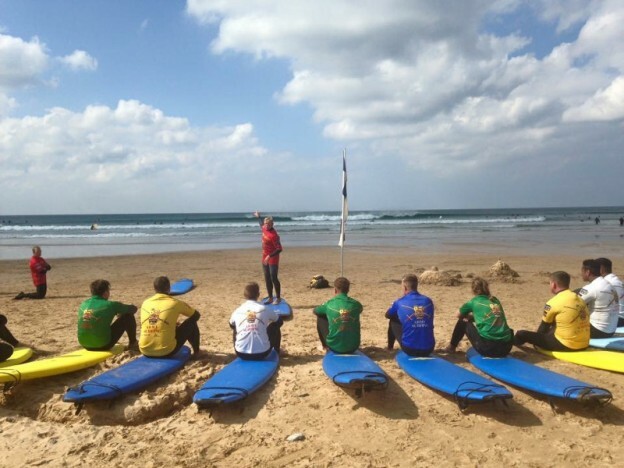 The team were ably taught the skills required to stand up surf by dedicated Army surf instructors and quickly advanced to â€˜popping up’, â€˜trimming’ and riding broken waves into shore. Early in the week the weather was sunny and warm and, whilst pleasant, was not conducive for producing regular, quality waves. On one particularly flat morning the group had a shock introduction to the importance, and difficulty of effective paddling through the conduction of a 3km open water route. Although challenging, this brought home the significance of strong, effective paddling, and meant that with steely determination, and resilient effort the group were able to maximise opportunities presented by larger, higher quality waves. The enthusiasm and hard work of the soldiers paid off, and within the week they were beginning to display the skills required to â€˜trim’, â€˜carve’ and â€˜turn’ on unbroken, green waves. The introduction to body boarding also proved to be a hugely popular part of the training week. 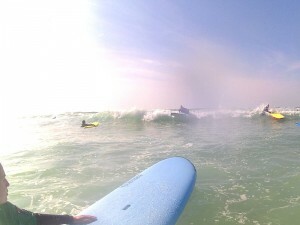 The Army currently have a highly successful body boarding team. The skill of the instructors was evident as soldiers were able to complete impressive 360 turns in barrels after only a couple of sessions. After developing a taste for the tricks possible on a body board, soldiers were also left eager to practice and progress in this arena. After clearly demonstrating strong progression potential and a new-found passion for the sport, the soldiers of 7RLC are looking forward to conducting some in-house training prior to the Army Surfing North East Autumn meet. The enthusiasm generated by the week should ensure the soldier practice their learned skills over the colder months in order to successfully represent the Regiment and the Corp at a competitive level in future events.